TURNBULL, JESSIE (McEwen), feminist, social reformer, and author; b. December 1845, probably in Montreal; m. 30 April 1868 Donald McEwen, and they had four children; d. 1 June 1920 in Brandon, Man. After graduating from college, Jessie Turnbull spent several months touting small Ontario towns under the aegis of Egerton Ryerson*, superintendent of education, speaking on the need to give daughters as well as sons the benefits of higher education. 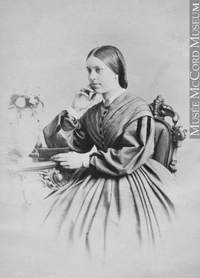 In 1868 she married Donald McEwen, a businessman who represented a Scottish and later a Montreal textile manufacturer. Initially, they lived in Toronto. Their first son was born in Ontario in 1869, and then they moved to Montreal, where three more children, two girls and a boy, were added to the family. On the family’s return to Toronto shortly after the fourth child’s birth, Jessie again entered the fray for women’s rights. In 1877 she joined Emily Howard Stowe [Jennings*] and others to form the Toronto Women’s Literary Club, which had as its aim “to secure a free interchange of thought and feeling upon every subject that pertains to women’s higher education, including her moral and physical welfare.” Meeting weekly, the club supported the causes of prohibition, improved working conditions for women, and women’s suffrage. It was instrumental in persuading the legislature of Ontario to allow qualified single women and widows to vote on municipal by-laws. This small concession in 1882 seemed to give the club the impetus in March 1883 to disband and then immediately to announce its reorganization as Canada’s first suffrage society, the Canadian Women’s Suffrage Association, with McEwen as president. In her acceptance speech she noted that she was the “first woman who has occupied this or a similar chair in Canada.” Suffrage was only one of McEwen’s interests. 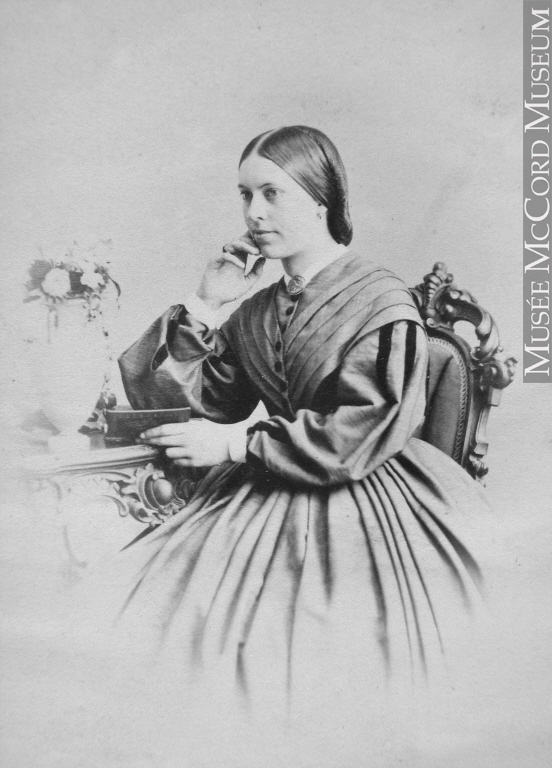 She was also secretary and trustee of the committee which organized the Woman’s Medical College in Toronto in 1883 and was among the group instrumental in obtaining entrance for women into the University of Toronto that same year. At the height of these activities, Donald McEwen decided to homestead in western Canada and in 1884 the family moved to Elton, northeast of Brandon. There they eventually built a large mansion. Completed in 1893 and named Tullichewen, it was a showpiece in the community. It was said to have “required the services of two servants and two gardeners to keep the premises constantly ready for visitors.” Although the large farm raised grain and purebred horses, Donald continued to travel extensively on business. When he was home, they entertained lavishly, welcoming such notables as Lord and Lady Aberdeen [Hamilton-Gordon*; Marjoribanks*] and the Duke and Duchess of Devonshire. 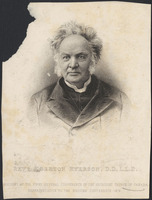 McEwen was also an active Presbyterian. Although her family worshipped at First Presbyterian Church in Brandon, she was one of the founders in July 1885 of the auxiliary of the Woman’s Foreign Missionary Society in Humesville and she is also credited with organizing auxiliaries in Chater, Rugby, and Brandon. In 1886 she helped found the Brandon presbyterial of the Woman’s Foreign Missionary Society, the first regional organization of the society in western Canada. 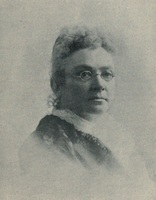 She also submitted articles and papers to the Canada Presbyterian (Toronto), whose editor remarked in 1896 that “she has very great talent as a speaker, and her ability as a writer is no less marked.” She began to contribute to the Farmer’s Advocate (London and Winnipeg) in 1901, with titles such as “Home life on the farm” and articles on child rearing, courtesy, and the importance of music and good books in the home and community. Jessie [Turnbull] McEwen contributed the article on “Home life in the west” to Women of Canada, their life and work; compiled by the National Council of Women of Canada . . . for distribution at Pan-American Exposition, Buffalo, 1901 ([n.p., 1900? ]), 31–33. ANQ-M, CE1-121, 5 nov. 1871, 3 janv. 1875, 7 mai 1876. Brandon Univ. Arch. (Brandon, Man. ), M80–23 (Brandon Council of Women); PCC, Woman’s Missionary Soc., Humesville, minute-book, 1885–1940. Man., Legislative Library (Winnipeg), Biog. scrapbooks. Manitoba Geneal. Soc., Brandon branch, cemetery transcripts. PAM, MG 10, C45. NA, RG 31, C1, 1871, Montreal, Saint-Antoine, div.4; 1891, Elton, Man. Brandon Daily Sun, 5 Dec. 1895, 18 July 1900, 27 June 1907, 1 May 1918, 1–2 June 1920, 22 June 1957. Farmer’s Advocate and Home Magazine, Man. and western ed. (London, Ont., and Winnipeg; Winnipeg), 20 Dec. 1901, 5 July 1902, 23 July 1920, 30 June 1927. Globe, 7, 10 March 1883. Manitoba Free Press, 18 May 1911, 1 May 1915. Mary Beacock Fryer, Emily Stowe, doctor and suffragist (Toronto and Oxford, 1990). C. L. Cleverdon, The woman suffrage movement in Canada, intro. Ramsay Cook (2nd ed., Toronto, 1974). Homesteaders and homemakers: a history of Elton municipality in its first century (Brandon, 1973). [J. W.] G. MacEwan, . . . and mighty women too; stories of notable western Canadian women (Saskatoon, 1975). National Council of Women of Canada, Report (Ottawa; Montreal), 1896–98. PCC, Woman’s Foreign Missionary Soc. (Western Div. ), Annual report (Toronto), 1877–1900. Vera K. Fast, “TURNBULL, JESSIE,” in Dictionary of Canadian Biography, vol. 14, University of Toronto/Université Laval, 2003–, accessed April 24, 2019, http://www.biographi.ca/en/bio/turnbull_jessie_14E.html.